Scroll down to see a full list of all of our past projects. 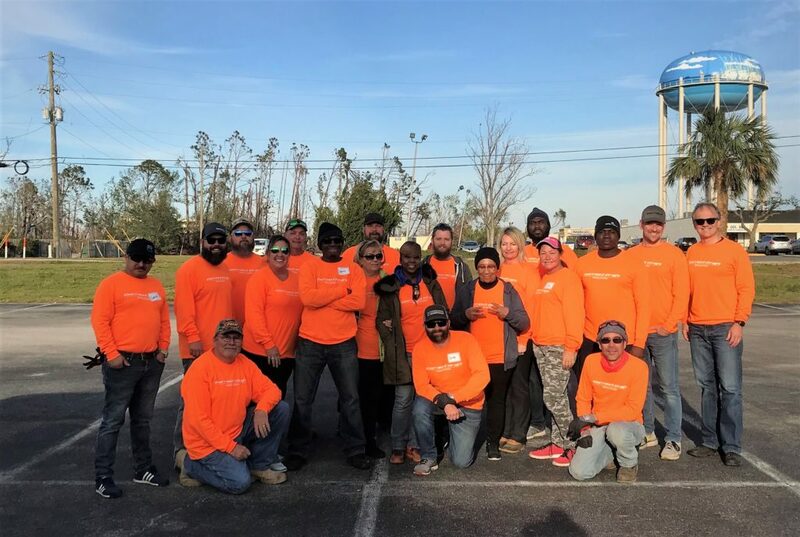 A team of 28 Nautique and Correct Craft employees visited 4 different home sites in Panama City to help clean up yards and remove damaged items in homes. The team brought tents, medical supplies, cleaning supplies and yard tools to donate to those in need through a local Church. 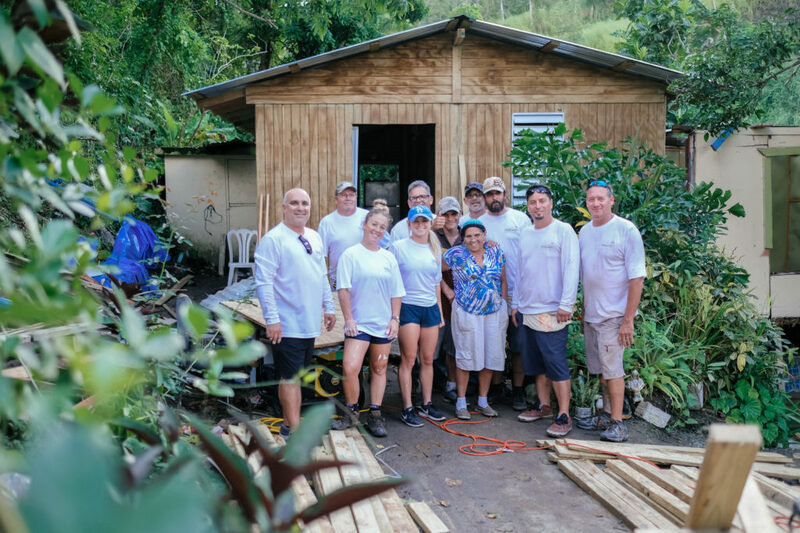 A group employees and athletes from the Nautique Boat Company visited the island of Puerto Rico to help rebuild a home devastated by the 2017 hurricane. The group took part in re-building a family’s home after they suffered a complete loss due to the severe winds. Nautique employees helped give back to local students today by filling backpacks with school supplies. Over 200 employees were on hand to help pack 1,200 backpacks with pencils, crayons, paper, notebooks and other supplies to help students in need. The backpacks will be distributed to children without the necessary means for the proper school supplies as Nautique has been working with World Vision on the project. 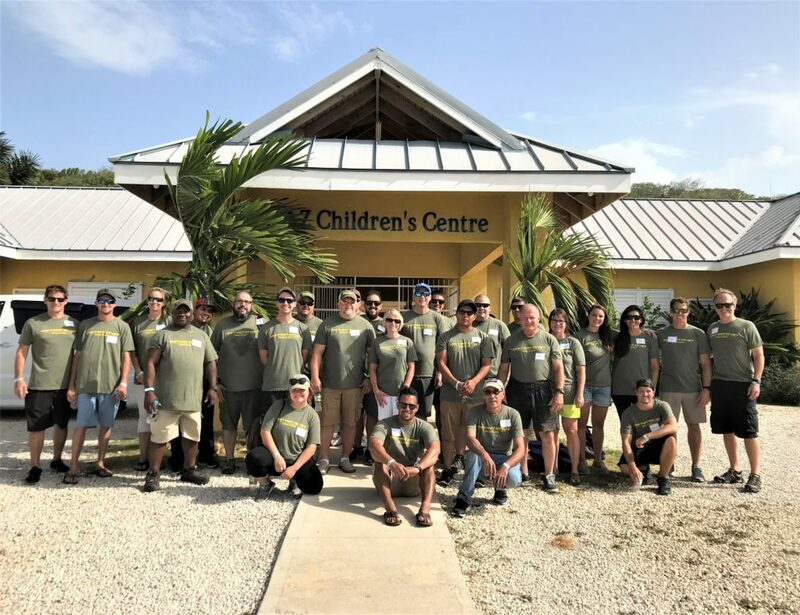 63 employees from Correct Craft, Nautique, SeaArk, Bass Cat, Centurion Supreme and PCM Engines visited Montego Bay, Jamaica to serve at NAZ Children’s Centre, a private elementary school. The team built a pergola with shade sails and picnic tables to serve as an outside eating and gathering area in the school courtyard. They also built a security fence and gate at the school. On Sunday we attended a local church where we donated some video and sound equipment and food for 150 families. We took 30 employees from Correct Craft, Nautique, SeaArk, Bass Cat and Centurion Supreme to serve Hosean International Ministries at their Camp De La Grace facility in Pignon, Haiti. We built benches for their fellowship building, painted the exterior of their dormitories, erected 2 soccer goals and made some repairs to their electrical system. On Sunday, we attended a local Church and afterwards donated food to 100 families. 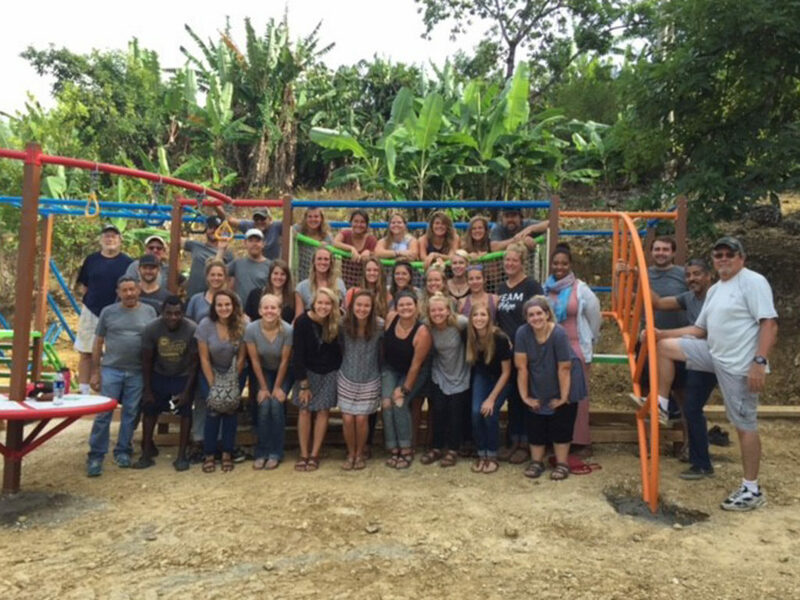 10 people, some employees from Nautique and some from our vendors (RamLin, CompOne, DiamondBack) visited the Dominican Republic to build a playground for Hope 4 DR Now in Puerto Plata. Each vendor played an important role by supplying materials and fabrication for the playground equipment, and then traveling to erect it on site at the Hope 4 DR Now headquarters known as Hope Mountain. The Nautique Cares initiative was back at it participating in another collaboration with Habitat for Humanity. Employees from all across the Nautique company came together to help construct a home to further Habitat for Humanity’s mission that everyone should have a decent place to live. This is the 5th house that Nautique has been involved in building and are pleased to be giving back to the local community. Several Team Nautique athletes along with Nautique and Aktion Parks staff traveled to Cambodia to celebrate the opening of the first wakeboarding facility in that country. They also delivered food to needy families and visited organizations that are fighting human trafficking. This was the fourth trip by Nautique employees to Ahuchapan as part of the Nautique Cares initiatives. This trip they built desks for a new CAD Design Center, interacted with students and distributed food and clothing to hundreds of families. A group of Nautique employees traveled March 13th and 14th to Haiti to distribute 3,400 pounds of food to hungry Haitian families. The Nautique team flew into the Haitian countryside with a plane full of the food and worked with various organizations to hand out the food to the Haitian families. The Nautique team also had the opportunity to review work done by several charitable organizations in Haiti. 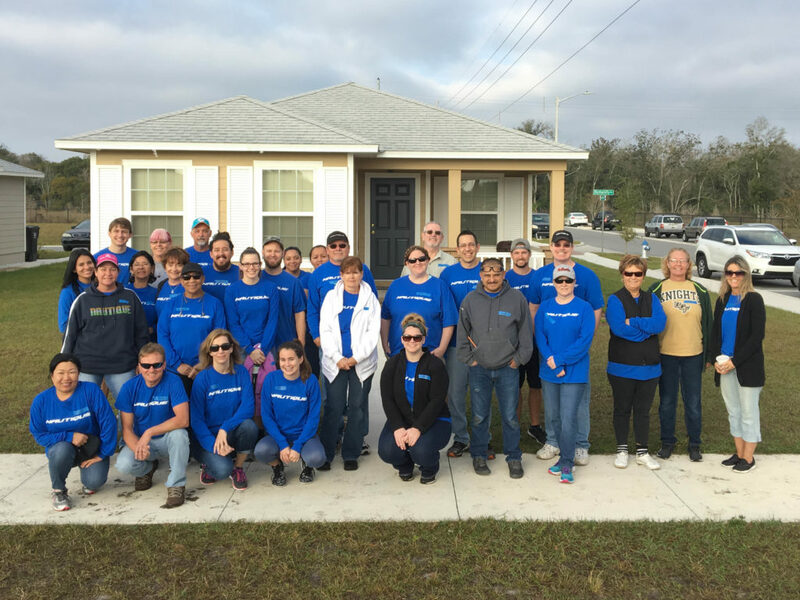 On March 7th a group of Nautique employees volunteered to work on a house being built in Central Florida by Habitat for Humanity and being funded by Nautique. This is the third house our company has funded (two by Nautique and one by Nautique’s sister company Orlando Watersports Complex) and our employees have volunteered to help build all three. As part of the Nautique Cares initiative the one-of-a-kind Super Air Nautique G21 was donated to benefit “As Our Own,” a non-profit organization working in India that rescues vulnerable girls from enslavement and exploitation. Over the past year As Our Own has been accepting donations, which also served as an opportunity to win the boat. The Falconer family made a donation and was selected at the winner of the G21. Twenty Nautique athletes, dealers and employees took part in the first-ever Team Nautique service trip to El Salvador. The group served by building a school library in the shape of a boat, interacted with the students at the school where they passed out supplies and played soccer with the children. Team Nautique distributed food to over four hundred needy families in rural mountain communities and provided a water filtration system that will supply the communities up to one million gallons of fresh water. 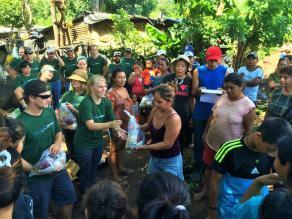 Two groups of Nautique employees traveled to El Salvador to serve those in need. Both groups did construction work and served students at a rural school in the mountains, they also served in a hospital and passed out food provided by Nautique to several hundred needy families. A small group of Nautique representatives went to India and visited the organization As Our Own who is working hard to rescue girls and their babies from inhumane situations. The group visited two different homes run by this organization where the rescued girls are being treated as well as their own daughters and are being given a chance to get an education and have a future beyond what they could have imagined. Nautique employees were divided into two groups and traveled to the Dominican Republic to help those in need. Team one served the first part of the week in downtown Cienfuegos building tables, benches, chalkboards and applying a fresh coat of paint to a school house for needy children. Group two worked on a church and family home in Mocha, about 45 minutes outside of Santiago. The team helped finished out siding, windows, installing a hand rail and built a stage for the Church. The family in Mocha has a completed roof and a door to their home for the first time thanks to the Nautique team. Nautique employees, Team Nautique athletes, and employees from Nautique’s sister company Orlando Watersports Complex (OWC) volunteered time at the Habitat for Humanity Stag Horn Villas project in Central Florida. A small team of Nautique employees had the opportunity to visit African mission where they visited orphanages, schools, a clinic, feeding center, an institute, radio station, vocational school and other services provided by the organizations to the people of Kenya and Uganda. Nautique employees from all parts of the company, visited the Apache Reservation for the second time and worked on two separate houses. They put in a ceiling, finished eaves and put in a floor; it was tough work but very fulfilling to assist others in such a significant way. Correct Craft, the owner of Nautique boats welcomed the Clarke family to their new two-story, energy-efficient townhome at Stag Horn Villas. The home was sponsored by Correct Craft and built by Habitat for Humanity Orlando. A few Nautique employees had the opportunity to visit an organization Nautique supports in Ethiopia, Project Mercy. Project Mercy is an incredible organization that has had a dramatic impact on an innumerable number of lives in Ethiopia. Correct Craft, owner of Nautique boats announced the sponsorship of a Habitat for Humanity townhome in the Stag Horn Villas community. During the days on the Apache Reservation in Arizona Nautique employees worked on two houses. They installed windows, beams, doors as well as doing work on the roofs and site clean-up. The team even designed a new mold that can be used on future houses. Nautique employees volunteered their time to help Habitat for Humanity of Orlando with their multi-family community, Staghorn Villas. The team spent the day installing floor joists, the structure between the first and second floor. In an effort to go somewhere new the Nautique team helped the “track people” of Guatemala City. The track people of Guatemala City are families who have settled on abandoned railroad tracks. They live in significant poverty and the Nautique employees served and built multiple bunk beds for this group. Since the Haiti earthquake, Nautique employees have been donating items for the Haitian people but also wanted to volunteer their time. 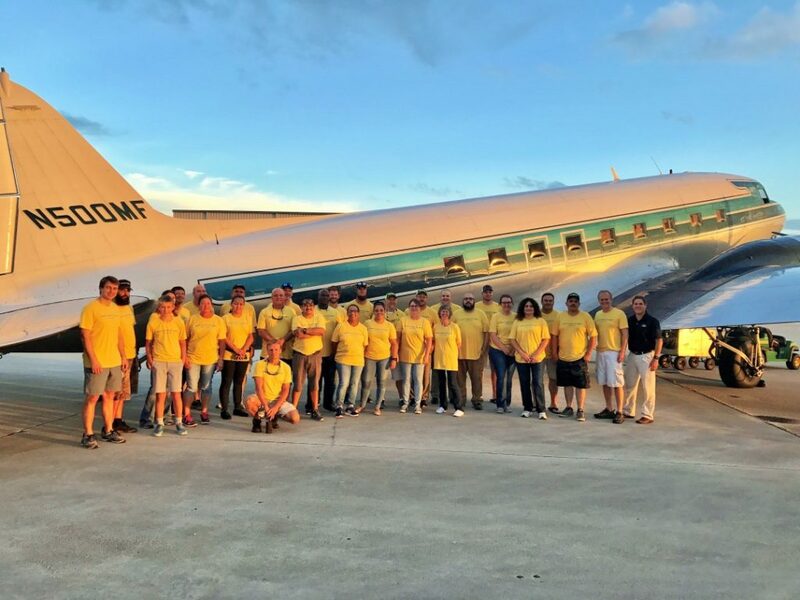 Nautique teamed up with Missionary Flights International in Fort Pierce, Florida and spent the day unloading trucks, sorting donations, cleaning bathrooms and much more. Over 100 Nautique employees served at the Coalition for the Homeless of Central Florida. The Coalition for the Homeless is a great organization that provides shelter every night for up to 840 homeless people in downtown Orlando. Several Nautique employees went back a month later to Give Kids the World for another opportunity to serve the children and their families. Professional ski athletes representing Nautique, and several company employees spent time serving children with life-threatening illnesses at leading non-profit organization, Give Kids the World. Team Nautique athletes and employees played with children including operating a carousel and serving ice cream. Athletes also signed autographs for the children and allowed them the opportunity to experience the 2009 Ski Nautique 196 firsthand. In Nicaragua, Nautique employees volunteered at a homeless shelter for mothers and their children by helping with manual labor projects around the shelter as well as providing entertainment and encouragement for the mothers and their children. For the second year in a row, Nautique employees traveled to Mexico and built a new home for a family of four in Tijuana. Once they completed the house, the mother cried as the team handed the house keys to her family. A team of twenty-one Nautique employees took the first-ever employee mission trip to Tecate, Mexico where they built a new home for a family of seven. The project was coordinated by Amor Ministries, a non-profit organization operating out of San Diego, California. Over the past 27 years, Amor Ministries has coordinated the building of over 10,000 homes for needy families in Mexico.